For players seeking gaming in a more discreet environment, our Exclusive Hall designed with privacy and exclusivity very much in mind. 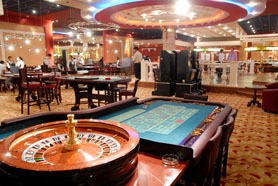 The more discerning player will find the décor and service standards of Zodiak Casino's Exclusive Hall to be unrivalled. 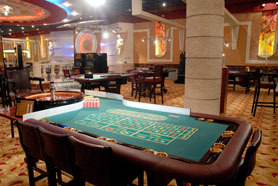 Located on the very edge of what can be called the center of the city, Casino Zodiak has established itself as the most popular casino in the city. Drop into Zodiak in Bishkek anytime day or night. The relaxed atmosphere and superb service are immediately noticeable.